The companion bill was introduced in the U.S. Senate—putting us one step closer to this historic legislation becoming law. The For the People Act will be monumental in expanding voting rights, enacting ethics reform, and limiting the influence of big money in politics. And it’s up to us to make sure every single Senator supports this legislation. The extraordinary and comprehensive reforms in the For the People Act are good for all Americans and deserve bipartisan support. That’s why we need YOU to contact your Senators and express your support for this legislation. HR1 would not have passed, or even been written, without people like you demanding it. But we cannot just stop with the bill passing in the U.S. House. We must make sure that every single Senator knows the importance of this bill on our democracy. Please contact your U.S. 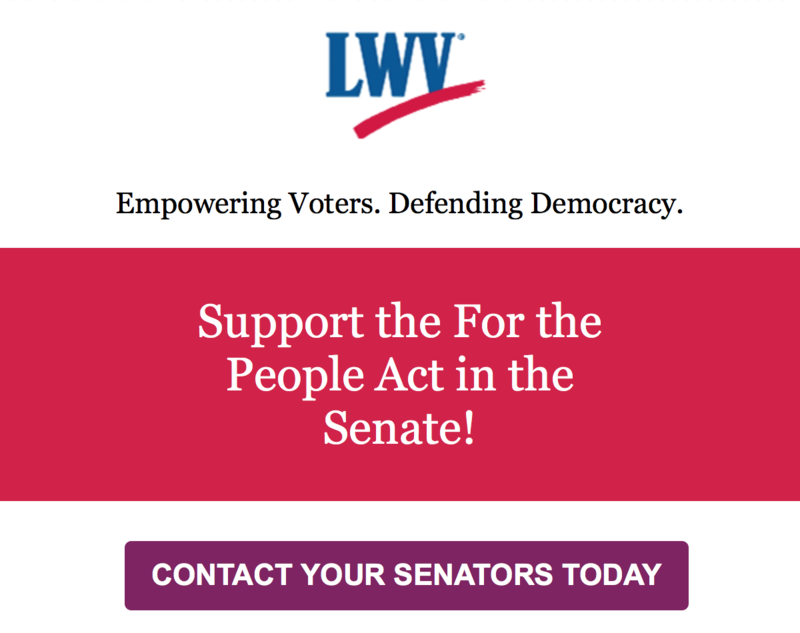 Senators now and urge them to support the For the People Act in the Senate.The time to fix our democracy is NOW.